wow! love it, you look so good, i like the umph (so innocent) of the photos!!! I absolutely love you hair curly! You look beautiful. :) Can’t wait to see the photos! Wow at first glance can’t even tell it’s you!!! You look amazing here, like a porcelain doll…can’t wait to see the final product! completely amazing!love your super curly hair! love your super curly hair!amazing! FANTASTIC hair! And that lipstick is spot on! Thats a beautiful picture. wats the name of teh lipstick? So pretty ! Wanna see it !! wow, i love how different you look, cant wait to see the pics. wow this looks like the start of a great photoshoot! excited for more! You look like an angel! The big hair is fantastic. Can’t wait to see the rest of the shoot. Can’t wait to see the picturesd too. You look like a mermaid! Stunning! The frizzy hair really suits you!! I love big hair too! The bigger && curlier the better! You look gorgeous!! love those lips! very beautiful! you look like a doll love! like everybody else, I just love your hair in these pictures, it’s just amazing ! you look sooo cute! 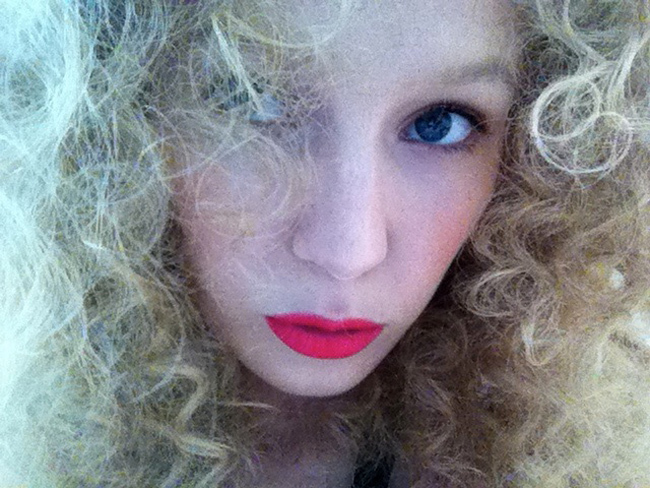 i love the curly hair and this makeup together! waiting for the final pictures! wow you look like a doll! different but gorgeous. You look great so looking forward for the result!! Lol, you look like a cherubim, so innocent and gorgeous! Love the curly hair and your makeup. Cannot wait for the final pictures either! 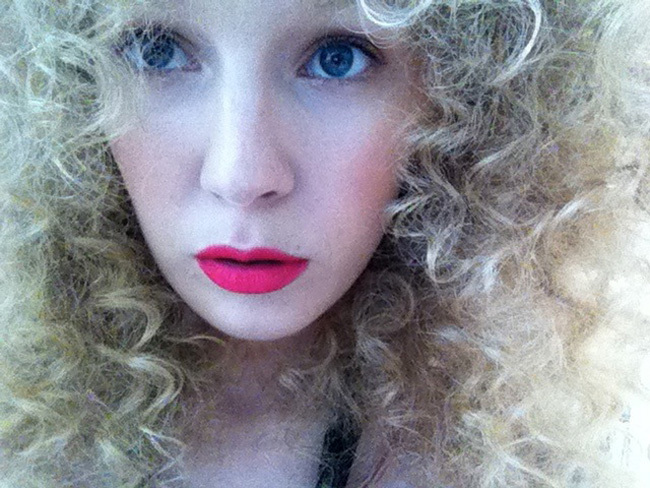 LOVE the fluoro pink matte lipstick! Definitely a hot beauty trend for Summer. Hah, great look! I always love when I see that style in editorials. stunning pics! you look like a doll!! Your hair and that lipstick are fantastic. Such a vibrant look! Your hair is unbelievable!! Like an angel. You look like a doll, so pretty!! !